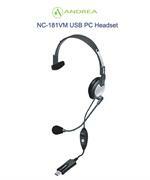 EXAQ Microphones are selected for compatibility with Speech Recognition programs. Recommended replacement microphones for original Dragon NaturallySpeaking and Dragon Medical microphones. Hand held microphones work well for short dictation needs where hands-free operation is not an issue.